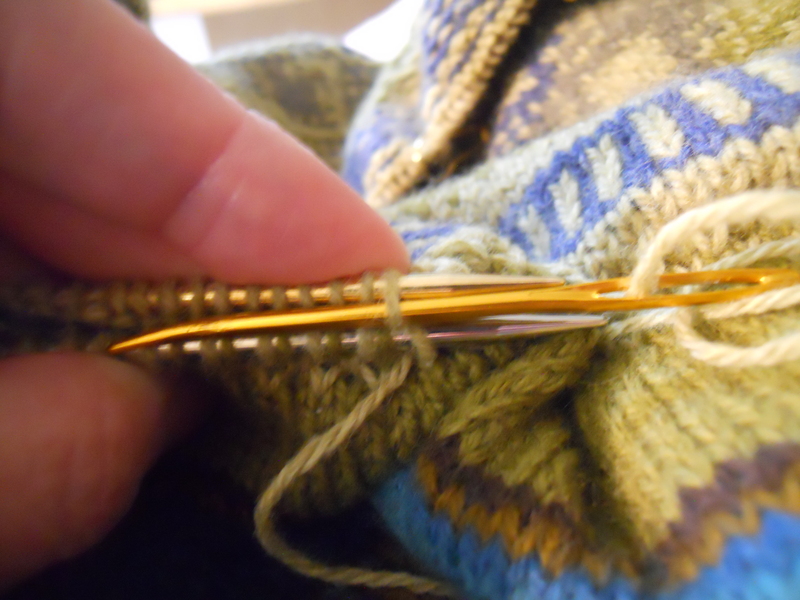 The Kitchener Stitch is an amazing, magical way to graft together two live knitted edges. Using a tapestry needle, you work your way through the stitches exactly mimicking the way knitting stitches are worked through each other. 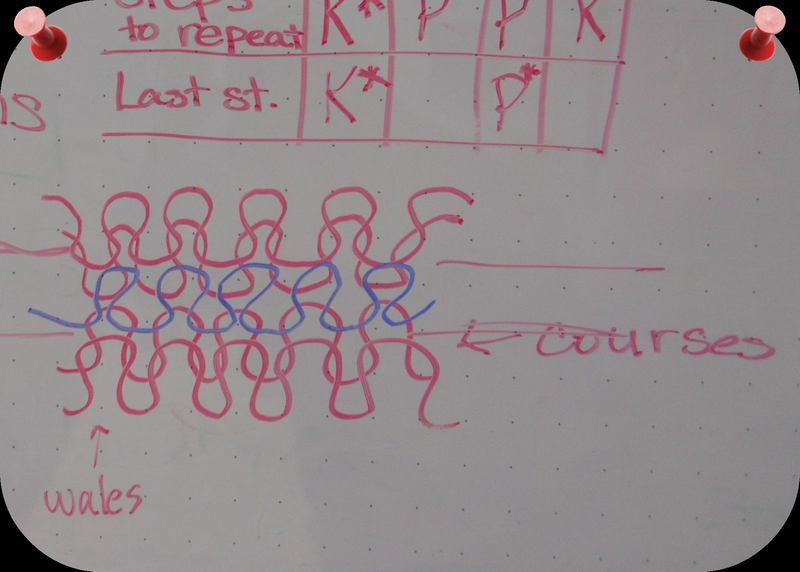 The whiteboard pictures below are from a Basic Christmas Stocking class I taught last fall. The red lines in the illustration represent knit stitches. The faint horizontal red lines represent knitting needles. Finally, the blue lines represent the manner in which Kitchener Stitches are worked through both legs of the stitches on the front and back needles. As you can see, Kitchener imitates knit stitches. 1. 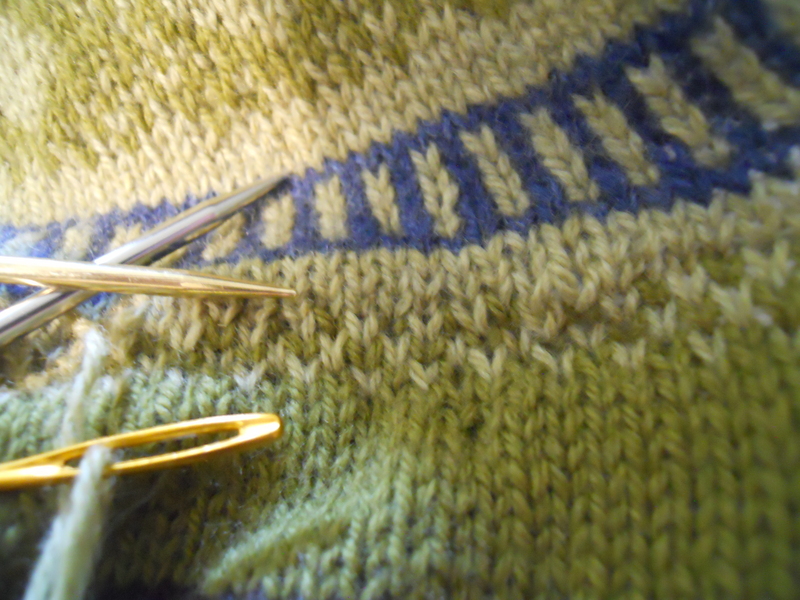 Place the two needles with the live stitches parallel to each other, wrong sides of fabric facing each other and the right side of fabric on the outside. We will call these the front needle and the back needle. 2. Thread either the remaining end of yarn from the back needle or a new length of yarn onto a tapestry needle, coming from the right (as opposed to left) side of the project. 3. Each live stitch on the front and back needles will be worked twice with the yarn on the tapestry needle. Here’s a little chart I put together to help remember the steps. There are two needles, front and back. 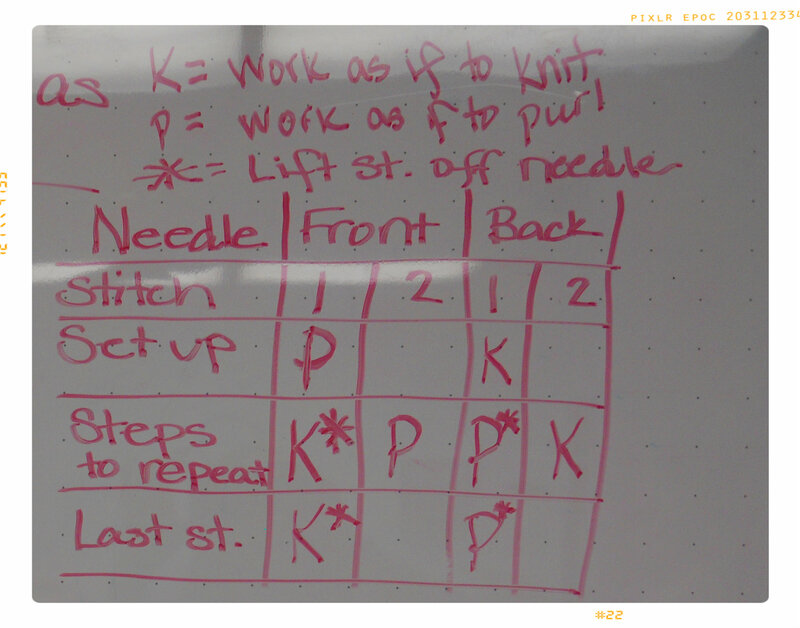 During each repeat of this chart, you will perform actions on the first two stitches on the front needle and then, in different order, on the first two stitches on the back needle. An asterisk means that you will slide the stitch off the needle after you have performed the action indicated. In these instructions, “knit” means to insert the tapestry needle in the same way you insert a knitting needle “as if to knit” and “purl” means to insert the tapestry needle “as if to purl.” In the pictures above, you can see the tapestry needle inserted as if to purl. Set-Up Step: Front needle: purl first stitch, leave on needle. Back needle: knit first stitch, leave on needle. Front needle: knit first stitch, slide this stitch off needle. Purl second stitch, leave on needle. Back needle: purl first stitch, slide this stitch off needle. Knit second stitch, leave on needle. 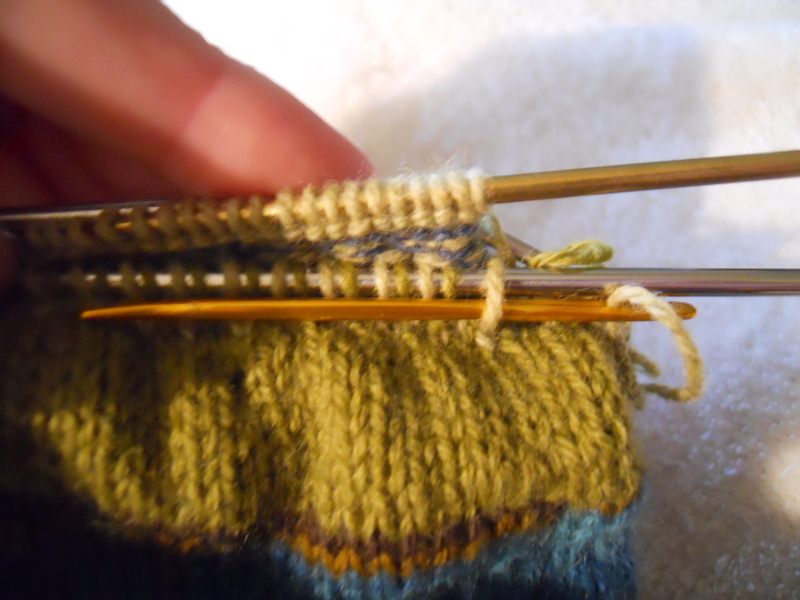 Front needle: knit the stitch, slide it off needle. Back needle: purl the stitch, slide it off needle. That’s it! 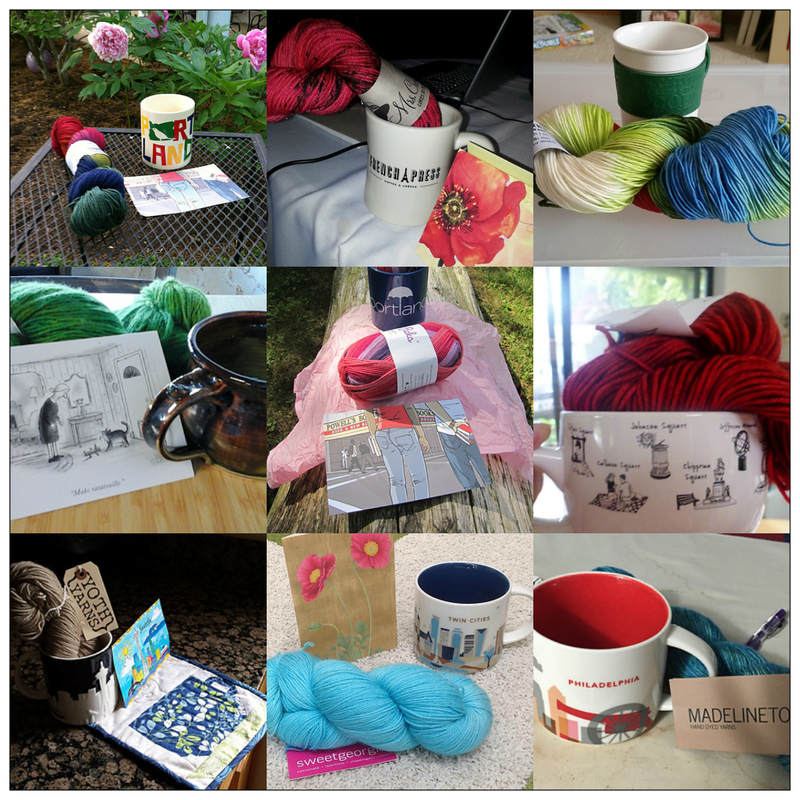 Congratulations, you have mastered the Kitchener Stitch!